There may come a time when you need to update the RAM and CPU on your systems to free up resources, improve system performs better, or just planning for the future. Through CONS3RT it is very easy to quickly make these changes. There are likely three timeframes in which you might want to make these changes: during systems design, while launching, and after a deployment run is reserved. 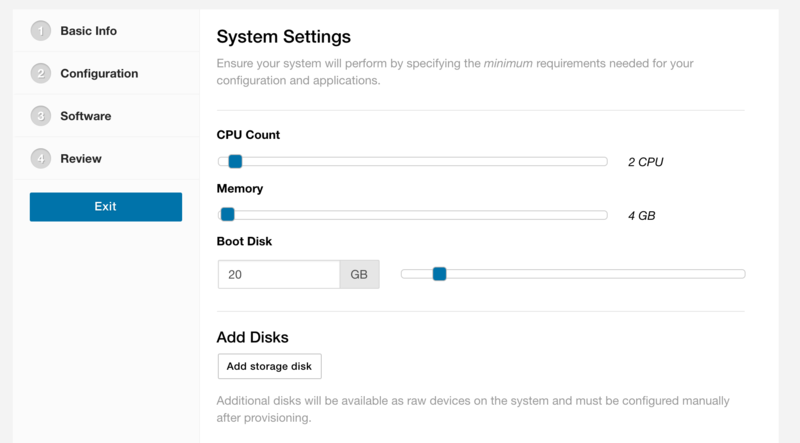 In the second step of creating a new system design you can set a minimum require RAM and CPU. These settings will be used as minimum requirements for runs created from this system design. Once your system is created, you can at any time, go back and change the values again by choosing your system and by clicking "Edit Asset" button at the top, and repeating the same steps as above. Any adjustments are applied on the next run using that system. When launching a system, scenario, or deployment, values for RAM and CPU defaults to those specified in the system design. 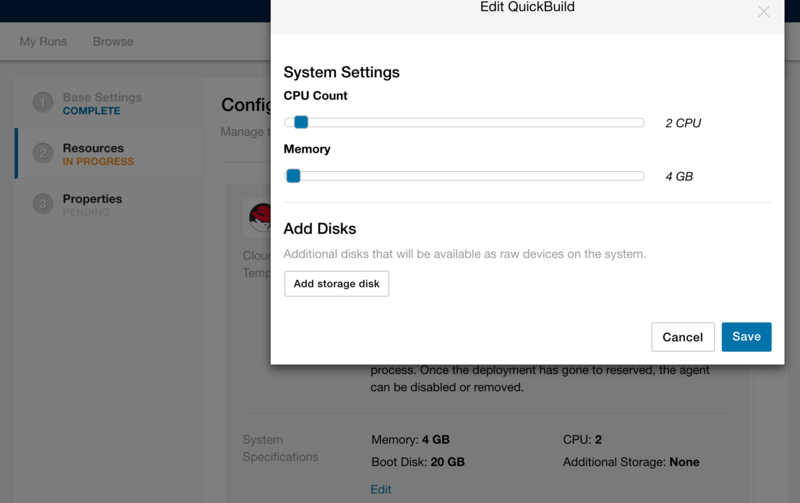 You can edit RAM and CPU on the Configure Resources step of the launch process. Adjustments here are only applied for this run, and are not saved for future runs. This also does NOT impact the values on the underlying system design.